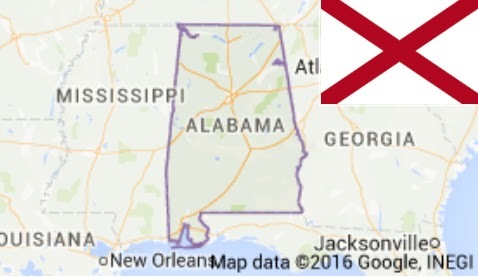 Alabama, being one of the six states in U.S among the non-lottery territories. A Bill to establish state lottery has been approved by a committee in the Alabama House of Representatives on 10th February 2016 (Wednesday). Now it’s up to voters to decide if they would be in favour of lottery. Lawmakers are to decide what kind of lottery would take place and where the money would go. Advocators of the bills said the existence of lottery could provide needed revenue for the state and let the people of Alabama decide by voting. R. Jacksonville, a committee member who voted for the bill. "It's just that everywhere I go in my district, people are asking me why we can't have a vote on this." It hasn't been clarified when the voting would take place, though it is rumored to take place in November. There are number of opponents who are boycotting the lottery bill, saying this bill could lead to hike in Medicaid cost. After Hawaii, Alabama is all set to embrace the lottery (until it’s legalized). An introduction of scam-free lottery could be a decent initiative and it would also bring in the employment opportunity to the state. LocusPlay is the key lottery technology provider globally, whether the lottery has been just introduced or switching from land-based lottery to online/digital etc. With LocusPlay’s fast-to-deploy solution the lottery operators can enjoy fully operational lottery activities in just weeks, not months with low capital investment. We believe, faster the solution further the growth.